Ensure that the information and knowledge generated inside the company is properly protected. 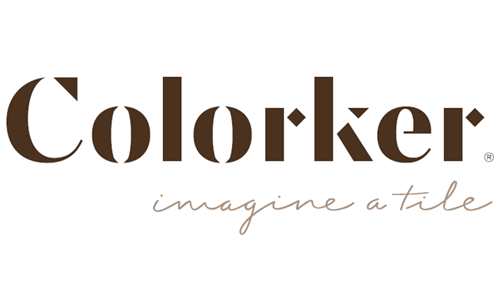 Colorker S.A. is a Company in the ceramic sector with more than 25 years of experience based in Alcora (Castellón, España), where it started activities producing red paste stoneware, with a daily average production of 2.000 sqm/day. Today, with an extraordinary team of top professionals, a great innovation capability and modern facilities – 110.000 sqm in Chilches and 71.000 sqm in Alcora- it produces over 4.000.000 sqm/year. Colorker requested the expert help from appsec to deploy Prot-On in order to protect the Colorker´s strategic information assets: product, personal and market information. They also wanted to have traceability of confidential documents to know who is accessing the information and when. The definition of the company Information Protection and Classification Policy was included in the scope of the project as it was needed to communicate to all Colorker staff the importance of information security for Colorker to achieve the goal of protecting the assets, the business continuity, the regulatory compliance and an optimal competitiveness in the current market. Through interviews with the different business areas, the types of information generated in each of them were analyzed and decisions were made to classify the information based on its level of sensitivity, value and criticality for the business. The potential impact to Colorker was evaluated in case of the confidentiality of each type of information may be compromised. Information encryption, so that it cannot be accessed without the proper authorization and cannot be altered without detection. Authorize staff to execute specific actions on the information: view, print, edit, modify, manage and within a limited time window. Register all access to the information and any failed attempt to violate the security controls. Training and enablement was provided to Colorker staff. Although a general training was provided, deployment of the tool was smooth and gradual in the different business departments focusing on personalized awareness and training. The importance that Colorker management gives to the protection of key information assets was shared and endorsed by the whole Colorker team. Corporate Information Security policies were defined and guidelines delivered to help Colorker staff properly classify information and to decide whether the Prot-On protection should be applied or not. A powerful tool was provided to protect and control the information assets even outside of the company perimeter by having a remote control on the documents wherever they may be stored, in a very easy way and without the need to involve technical resources. It was a great step forward in the maturity level of the company to attain the goal of Information Confidentiality.